The Western Region’s premier food truck event — Street Eats – at Salt River Fields, returns with a new date, Feb. 11 & 12, 2017, 11am-6pm, for a weekend packed with more than 70 food trucks dishing out everything from comfort classics to gourmet grabs. Plus, festival goers get more bang for their buck with this year’s ticket that includes admission to UnCommon Markets, a showcase of goods handcrafted by regional artists and artisans. UnCommon Markets highlights a vast array of artists and goods; from art that benefits social change to upcycled home furnishings, serving as an ideal source of custom goods, perfect for those on the list who have everything. 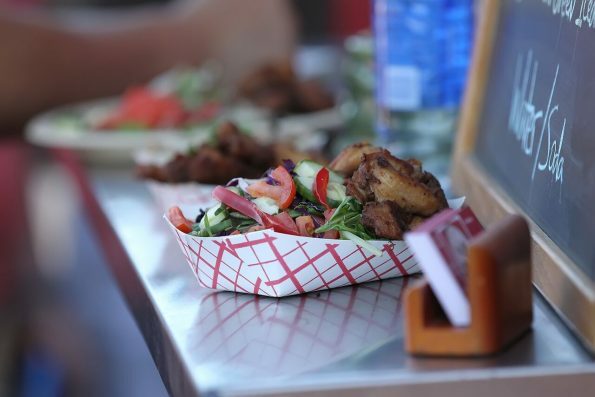 The monthly market joins the Street Eats footprint and adds to the weekend of festival fun. Additional Street Eats details will be announced soon, including food trucks, cooking demonstrations, musical entertainment, special beverage options, and more. Also, in the coming weeks when fans visit a food truck, they can post a photo of the truck on Facebook, Twitter or Instagram using #streeteatsaz, and become eligible to win tickets to Street Eats.